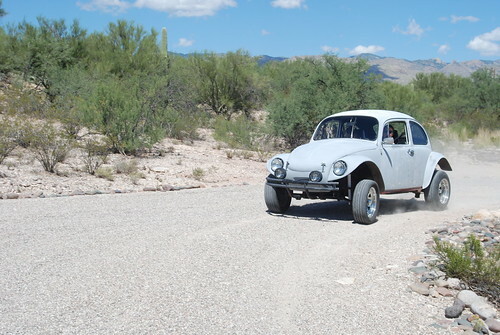 AzBaja.com, Home of the VW Baja Bug -:- Baja Forums -:- AzBaja.com Members -:- New Members -:- Just caught the "bug"
Baja Forums -:- AzBaja.com Members -:- New Members -:- Just caught the "bug"
Post subject: Just caught the "bug"
We will be picking the bug up tonight and cleaning it out, then taking a good hard look at the brakes, steering and suspension to see what we ant to do next. For now we are pricing parts and making a list of things we know it needs. 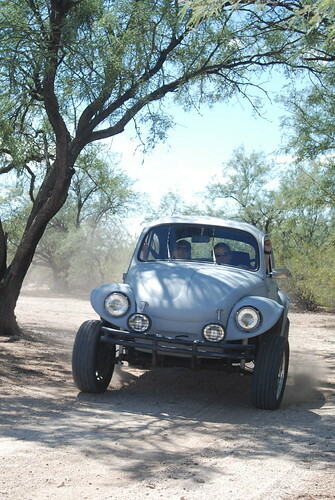 Post subject: Re: Just caught the "bug"
now we will expect to see you and the baja at the CHIRCO BUGTOBERFEST next month!! you need to sign up first!! Haha, thanks for the link, we had already put it on the calender, just hadn't signed up yet. We'll definitely be there! Hey hutch, welcome man. I am in Tucson as well(22nd/kolb), once you are ready, we will have to meet up and take em to the dirt. 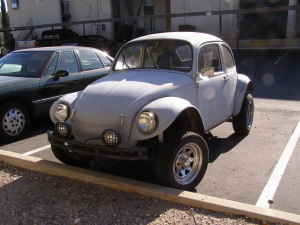 I was looking at that baja, the PO lived in my friends complex, it was for sale for a while and no one bit, it looks like a good starter. Cool! See you in TU. signed up! We cleaned the Bug up a bit tonight, Made $2.79 Back in loose change. took some spins around the property with friends to share the joy. we will be doing a bunch of cleaning this weekend, power wash, stripping random disconnected wires, probably asking a bunch of question on here while we wait for books to arrive. If we can get at least a temp registration, we might even swing by Chirco to get some stuff. How do we pay up to become member of the site? Nice to know that you have looked at it Blaine. 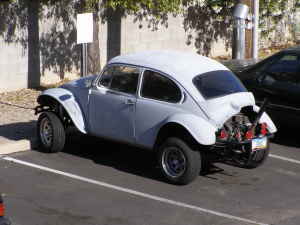 Seems to be in pretty good shape (I'm a VW newb so who knows for sure!) seems like some basic maintenance, and some clean up on the wiring. The fellow we got her from took it as partial payment for a truck he sold and just drove it on weekends. I am really excited to have this bug, just zipping around a bit tonight was a blast. I think all our friends that got a ride had a huge smile when they got out, so that bodes well. I know I was grinning the whole time. Will you guys have a sign up at Bugtoberfest? We put a bunch of time into the bug today. Stopped by Chirco and picked up some stuff, took more folks on quick rally runs around the property, we are getting quite the course installed, hope the neighbors don't mind too much! Got the interior cleaned up a bunch. Brake job coming up, and then registration and smog. How do these things do on smog checks? My other vehicles are registered in WY, so no emissions, we'll switch this over when we get back up there, but for now I think we need to register it here. The shop can get you through emmisions. That's great to know, thanks Don.